Corvous India Infratech Pvt. Ltd.
Investors Clinic Infratech Pvt ltd.
iNVESTORS mART and INFRASTRUCTRE Pvt. Ltd.
World Trade Center CBD Noida is a commercial development of World Trade Centre, providing perfectly built work spaces and shops. Built by combining the strengths of well grounded experience with dynamic needs of modern times, they provide you with a new era of work culture in sector 132,Noida. The property is spanned across a wide area and provides you with all modern amenities and is registered under UP Rera. Where is World Trade Center CBD Noida located? The project is located in Sector-132, Noida. 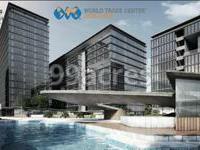 How much is the total size of World Trade Center CBD Noida?The project is spread over an area of 7.5 Acres. What is tentative possession date of World Trade Center CBD Noida?The project is expected to be delivered by Feb 2024. How many units are there in World Trade Center CBD Noida?There are 860 units available in the project. What is the status of RERA registration of World Trade Center CBD Noida? The project is registered with RERA. What is the total number of floors in World Trade Center CBD Noida?The total number of floors in the project are 12. Standard, multi-strand Copper wiring conforming to various thicknesses required for various current ratings (FRLS). Conduits to be FRLS rated. Lifts and Escalators of standard makes with Automatic doors and ARD. Facade With plain plaster with texture paint Coating of desired Shades as per Architect Design Intent. Anodised/ powder coated aluminum/ upvc windows. Theme based Landscaping as per design. CCTV surveillance and Controlled Access points. Allottee to install their own finish as per their internal design/ requirements. Allottee to install their own finish/ flooring as per their internal design/ requirements. The electrical fixtures and fittings for common area are in builder scope.  The same for the tenant premises will be borne by the allottee/ occupier. A two pair cable from central JV box up to the shop will be provided by the builder. Facility / connection may be arranged with the suitable service provider. Water supply for cleaning, washing and flushing usages to offices (plumbing shaft enabled units) will be on chargeable basis. Sprinkler system, Smoke detectors connected to fire panel, Fire hydrants with hose reel in common areas. All public areas shall be well lit with energy efficient fixtures. Hello Ashwin, This project is anticipated to be ready by 2022, therefore it is too early to say anything about this project. I would advise you to explore similar projects that are either ready or on the verge of completion.